If you’ve been to a professional military education course in the last seven years, you’ve probably seen this video at some point. In the middle of the clip, the players devising a plan of attack are interrupted as Leeroy Jenkins rushes into the room and begins fighting (before the plan is complete), killing his entire team. After the instructor shows the video, everyone has a laugh or two, and then the conversation turns to the importance of planning during combat operations. “Plans are nothing, but planning is everything.” This quote, attributed to the great Prussian General, Helmuth von Moltke, highlights the importance of thinking through military operations, because planning provides a strong intellectual and organizational framework for those in the fight. 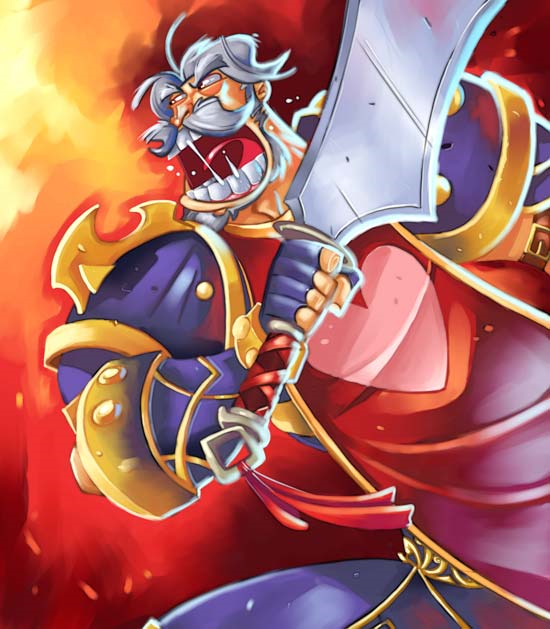 All great military commanders plan for combat, however when it comes to leader development, many just grab the guidon and yell the battle-cry of Leeroy Jenkins. Their subordinates’ development, just like that epic battle in World of Warcraft, are lleft up to chance. Don’t get me wrong, the intent is present. Many of us have grandiose ideas of how we want to develop our subordinates, however the idea stage is where the process stops. As soon as we take charge of the organization, we feel the rush of excitement because we finally get to put these ideas into action…… and then reality hits. Administrative requirements take over. Soldier issues envelop us. Our subordinates only get bits and pieces of what we actually had in mind, and then it happens. Time’s up! Time to pass the guidon down the line! Instead of executing a program that deliberately developed our subordinates, we realize we did exactly what Leeroy Jenkins did, we winged it. Over the next several posts I will discuss leader development not only from an Army doctrinal standpoint, but also by pulling from various sources on the topic. Next week I will examine what leader development is and dispel some common myths. The final post of this series will provide leaders will some practical approaches to developing a leader development program. I hope by reading these, leaders won’t adopt the Leeroy Jenkins Model, and instead think through and actually plan how they will assist in the development of their subordinates. Previous A Leader’s Legacy: What Does Your Recruiting Poster Look Like? So true…..and when leaders really try to do LD while in command, they are often castigated or overcome by ‘if this goes wrong it looks bad on me’……LD needs to happen in context (while doing something) with the senior giving the subordinate time, space, latitude, guidance, and responsibility……if not…..well, you know…. Leader Development is becoming s strategic buzzword instead of a holistic approach to memtorship. IMO the Army’s inability to recruit the 18% of the eligible population speaks to the “developed” instead of the “developer” in this context. Our motto states that we will make you Army Strong, but our Accessions talent base has been told their entire life that they are perfect as they are. This leaves an absence in the collective thirst for knowledge. How do we reach millennial LTs, NCOs and Soldiers who acquire degrees for ticket punching purposes rather than the knowledge? Not a gripe, but a question? No other profession should stir your passion like this one if you are a true believer in its purpose. Subsequently, we need to be more concerned about our junior population within the enterprise. Many OPD discussions revolve back to how to get promoted or what HRC is looking for. Should they?